The Torqbox DX is designed to be used with any 5mm Allen key (including the one on your multi-tool) to create a more portable torque wrench. 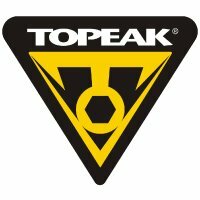 The easiest way to describe how the Nano Torqbox DX works is to refer you to Topeak's own video. A torque wrench takes the guesswork out of ensuring every nut and bolt is tightened correctly (and never overtightened). In use, the The Topeak Nano Torqbox DX makes an audible click when you reach the bolt's recommended torque limit. A torque wrench is especially recommended for carbon frames and components where overtightening can be catastrophic. and T20, T25 torx bits. The Torqbox DX comes supplied in a tough plastic carrying case measuring 8.2 x 5.1 x 2.7cm. Supplied with a robust rubber strap for lashing the Topeak Nano Torqbox DX in its case to your multi-tool (not supplied).